Our picks for the Top 5 Things to Do in Laie, Oahu will definetly help if you’re planning a trip to the island of Oahu. There are scores of amazing places to experience the magic that “The Gathering Place” (as Oahu is known) embodies. And while you may have the capital of Honolulu on your itinerary, we want to make sure you don’t overlook some of the smaller cities and towns; as they are every bit as remarkable as their larger island counterparts. As an example, take the rather quiet and unassuming town of Laie. Laie is located on the northeastern side of Oahu, and is home to approximately 6,000 residents, the majority of whom are members of the Church of Jesus Christ of Latter-day Saints. And although the town might sound small and uneventful at first glance, we assure you there’s a lot of fun to be had here. If you’ve ever dreamed of living the life of a Paniolo (Hawaiian cowboy), then the Gunstock Ranch is the place you need to visit. Whether you’re an experienced rider or are taking your first turn in the saddle, you’re sure to find the perfect equestrian adventure here. Walk along as the kids take a Pony Ride- they’ll even get to pet and brush the horse beforehand. Or maybe the two of you would enjoy the Sweetheart Ride, complete with a private picnic. For a truly unique experience, we recommend the Moonlight Ride- the only such ride in all of Hawaii! Watching the moon rise over the ocean at a scenic lookout is sure to be an adventure you’ll never forget. This 1.7-acre park is located on a peninsula just south of town and offers spectacular views of an iconic landmark- an offshore islet complete with a beautiful arch in the middle, as well as the Mokualai Islet Seabird Sanctuary. Take some time to marvel at the waves crashing against the rugged cliffs as you ponder the legend of “Laniloa the Mo’o” (giant lizard) and his role in the formation of the small islands in the area. (We’ll leave you with that teaser so you can read about the legend once you get there- it’s located on a granite plaque mounted on a 6-ton lava rock.) Simply put, the views here are phenomenal and not to be missed. Although Mormon doctrine prohibits non-Mormons from entering the temple proper, the public is welcome at the sounding grounds and Visitors’ Center. Visitors give this attraction high marks for the beauty and serenity of the lush grounds, as well as the impressive architecture of the temple. Several factors make this particular LDS temple unique. It was the first Mormon temple built outside the continental U.S. and is also the fifth-oldest in operation. Additionally, it is one of only three Mormon temples lacking a steeple. And the breathtaking grounds are among the first to feature specially designed landscaping, including a series of reflecting pools and waterfalls that grace the path to the temple entrance. Laie Falls Trail - This 7-mile (round trip) hike takes you over the Laie Ridge Trail to the Laie Falls, a 15-foot waterfall which drops to a pool at its base. This hike provides great views of the windward shoreline, as well as the abundant tropical foliage. The trek is generally classified as a moderate hike; however, some visitors report it should be classified as moderate to difficult, as there can be a few tricky and steep spots. Obviously, use caution- especially when it rains and the trail is muddy. Aside from an amazing hike, visitors enjoy trail running and mountain biking here. Please note that you’ll need an easy-to-obtain access permit before hitting the trail; a small detail certainly worth your time. 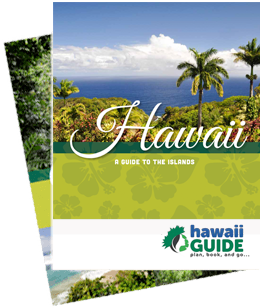 We hope you enjoy suggestions for the Top 5 Things to Do in Laie. But whether you stick to our list or make your own, just make sure not to pass up this great town with loads to offer.